Omne is a fantasy multiple species animal roleplay including wolves, lions, tigers, and more. We feature 9 free to play species and 10 branches of magic. New members get a bonus just for joining! 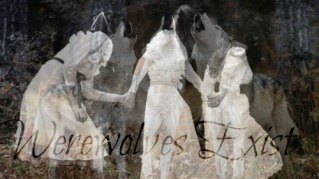 Evalos is a real wolf RPG and is in search of new members just like you! Check out Evalos and join today! Rumors are spreading as rogues go missing, and the accused culprit is a three-headed beast of legend and myth. With fear driving wolves to great lengths, it seems that a war is about to begin. Avalon is a simple, play-by-post, semi-realistic wolf roleplay set in Virginia! We have events, awards, and a welcoming community! The corazon has two packs. One good, one evil. The evil is planning on over throwing the good. Who will survive? Who will win? The DawnRunners Wolfpack, is an IRC [Internet Relay Chat], semi-realistic roleplay pack that thrives on strong bonds. IRC allows active roleplay and interaction, with friendly wolves and leadership. An intermediate to advanced semi-realistic wolf rpg, we allow uncommon eye colors and have a special feature - the ability for wolves to imprint! A beautiful community, full of friendly staff and amazing members and characters. The Four Clans RP is a wolf RPG based off of the hit series by Erin Hunter. Four Clans are living in the forest, constantly trying to survive. It is semi-realistic. Dogs have lived peacefully with their owners. But when humans are killed off, they are exposed to the hungry wild animals such as wolves and coyotes that are moving in to take over. Who will win? Abandon is a semi-realistic wolf RP with a touch of magic and wonder. Featuring a unique setting, open plot, quick joining, creative freedom, member-driven world-building, and friendly environment. Uccello is a pack unlike any other. Where you're free to roam the many lands, you also will notice there is a hint of darkness awaiting to be seen. We are a semi-realistic wolf RPG that has been going for over six years. We are open to all levels of role play, from beginner to advanced. The vast, cold fields of the Tundra aren't as barren as you think. Step into a colorful and enchanting world of hybrids, mutations, and species much more close to home. A fantasy wolf Roleplay with both private and public Roleplay available to our users. Level up buy completing objectives and protect the object that gave you power. Fantasy wild Canine and Feline RP where Gods bless the deserved with Mutations, Skills and Powers. A brand new semi-apocolyptic wolf rpg set in real time, fast pace, high content! Come and join in with real gambling on threads with random events out of your control! Embrace the madness! The Earth was ravaged by fire, ending the age of man. Now wolves reign over the black earth. Although the wolves DNA has been tampered with, strange colors infect their pelts. Come and join in! This site is a semi-advanced, one paragraph per post, werewolf role-playing site. We are a very friendly society and welcome everyone. Recently, vampires have been added to our ranks! Yay! The seven virtues collided on one island. Now, the giver of the eighth virtue remains and continues watching a legacy be born. Be a part of it! Small Community? Family atmosphere? Join us! Elemental Balance is a brand new fantasy post-by-post wolf roleplay set five centuries in the future in a fantasy land named Eleppi. 1 island, 4 packs, 1 ruling family. An evil brother determined to eliminate his competition to the throne at any lengths. Including potentially killing the leaders and their children. Will he succeed? A semi-literate, realistic wild canid roleplay taking place in Africa. We are friendly for all ages and offer over 50+ canine species to choose from. Wolves of the Glen is a new, literate, semi-realistic wolf roleplaying site with three packs and various roleplaying locations! Will you join us? Created in 2013, Eye Of The Wolf RP is different from the rest! With events to jazz up the role-play and the ability to role-play as almost every animal plus more! We are family here, come join! Primal Minds is a post by post, beginner - advanced fantasy canine roleplay game. We are a lovely community, hoping that you will join and become part of the world that is ever changing. The prophecy begins when four wolves of each clan reveal their names to create the clans. Our site offers an active RP for any RPer. Prophecies are played in RP events. A semi-realistic wolf roleplay with a casual atmosphere, friendly members, and a lot of room for unique customization of plots. Active add of July 2016. We have a point system and buyable traits! Duodecim is a semi-realistic, literate, wolf role playing site. In a land where humans are non existent, rises the Wolf. Will you plunge into the world of Duodecim? Artena offers 16 free to play species with a warm community. We are open to all and hope to see YOU among our ranks! A brand new, literate werewolf-mix role playing community with 30+ places to RP and counting! We all belong here but how long can we remain united? A semi-literate wild canid based roleplay taking place on the east coast of Canada. There is no word limit and we are a friendly and welcoming site. A new wolf roleplay site, this is a fantasy roleplay about two packs driven to war after the loss of their Elemental Spirits. Vanish at the World is a fantasy wolf RPG for intermediate to advanced roleplayers with a requirement of 150 words per post. We offer both fantasy and realistic wolf species for our members to choose.